Four years after it received a challenge grant from the National Endowment for the Humanities (NEH), Fordham’s Orthodox Christian Studies Center has successfully met its fundraising goal. The 3-to-1 matching grant, which was the first ever awarded to Fordham by the NEH, required the center to raise $1.5 million before August 2017 in order to receive an additional $500,000 award from the NEH. George Demacopoulos, Ph.D., professor of theology, the Fr. 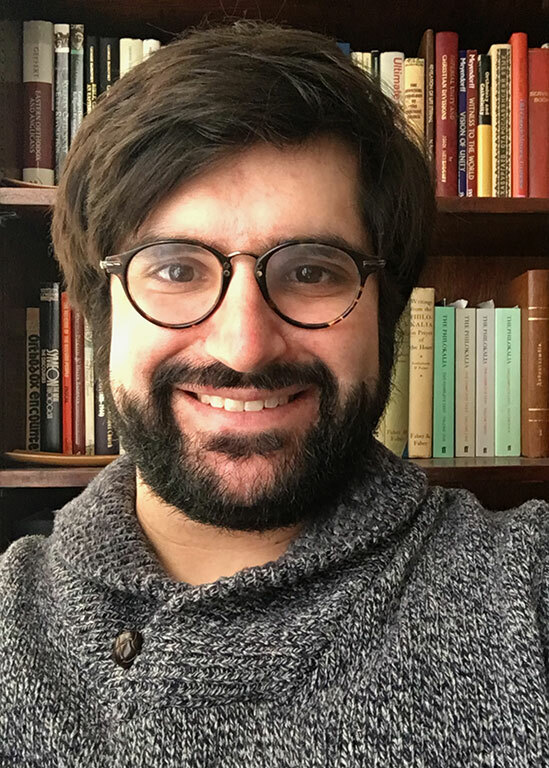 John Meyendorff & Patterson Family Chair of Orthodox Christian Studies, and the co-director of the center, said the award makes it possible to extend an invitation to the center’s first Dissertation Completion Fellow, Aram G. Sarkisian. The resulting $2 million endowment will also be used to create a Distinguished Scholar-in-Residence program. The $1.5 million was raised via 533 donors who made 844 gifts and pledges ranging from $2.50 to $150,000. Fordham alumni, parents, faculty, and staff contributed 61 percent of the total, while donors with no prior connection to the University contributed 39 percent. Demacopoulos said the pace of the center’s fundraising shows there is great interest in researching Orthodox Christianity. Although it is practiced by fewer than 1 percent of Americans, an estimated 260 million people practice it, primarily in the Middle East, Russia, and the Balkans, making it the second largest Christian tradition in the world. “If the U.S. government and businesses want to be engaged in those parts the world where Orthodox Christianity is the dominant expression of Christianity, then the American population needs to have a far greater sense of its history, culture, and nuance,” he said. 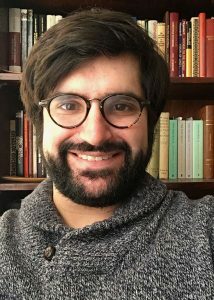 Sarkisian, a doctoral candidate at Northwestern University, said he will use the fellowship to complete his dissertation, “The Cross Between Hammer and Sickle: Russian Orthodox Christians in Red Scare America, 1908-1924.” His research centers on an Orthodox Christian parish in Detroit that was riven by divisions after the Bolshevik revolution led to a violent split in Russia. It was a time marked by the first “Red Scare,” as American authorities worked to ferret out those who it suspected might try to overthrow the government and institute Communism. Sarkisian said that parish members, who’d up until then relied on the Russian government for support, found it advantageous to work with U.S. authorities, and in some cases accuse each other of being Bolsheviks, in an attempt to display patriotism. It’s also a story that resonates with him personally, Sarkisian said. His grandfather was an Orthodox Christian priest in Detroit, and Sarkisian used documents that he discovered in his grandfather’s basement as source material for his dissertation. The fellowship will enable Sarkisian to access more resources through locations such as the Orthodox Church of America’s chancellery in Syosset, New York, Columbia University, and St. Vladimir’s Orthodox Theological Seminary in Crestwood, New York. Demacopoulos said Sarkisian’s research fits perfectly with the center’s goals because its focus on xenophobia, nativism, and war resonate in today’s current political climate. It’s also the kind of project that advances Orthodox Christian studies as a field in its own right.